St. Barbara’s, whose feast day is December 4, is a 3rd Century saint, who refused to marry despite her father’s insistence. The legend goes that when she told him she was a Christian, he had her tortured and then beheaded her himself. Many miracles were said to have occurred during her tortures. 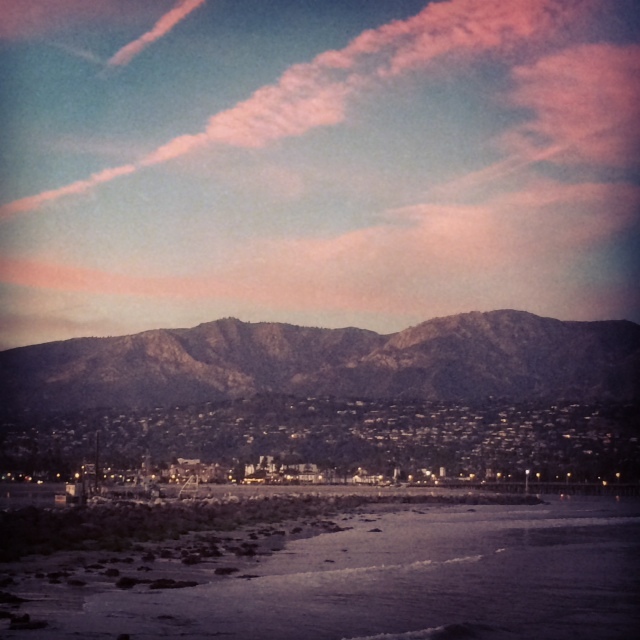 Santa Barbara, CA is named after this miraculous saint and the city is a beautiful honor to such a glorious martyr. 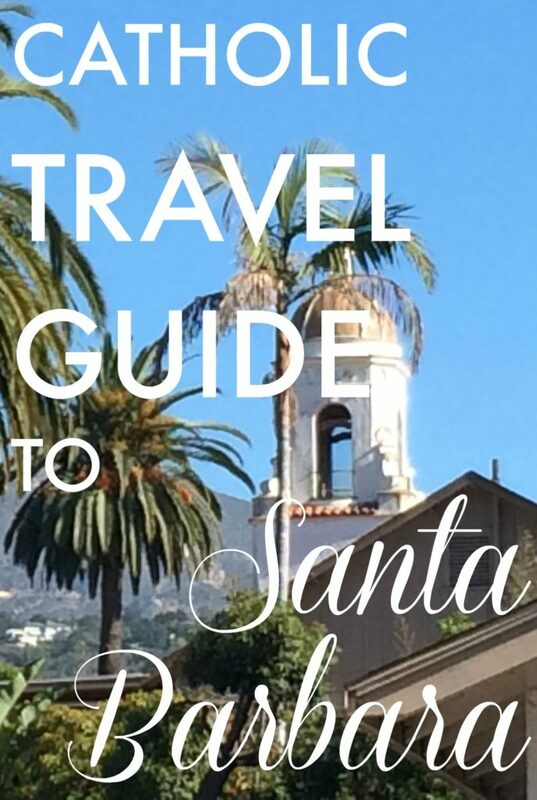 Here are some of our favorite things to do in Santa Barbara, a gorgeous Southern California city by the sea. This is a Catholic must-see when visiting Santa Barbara. 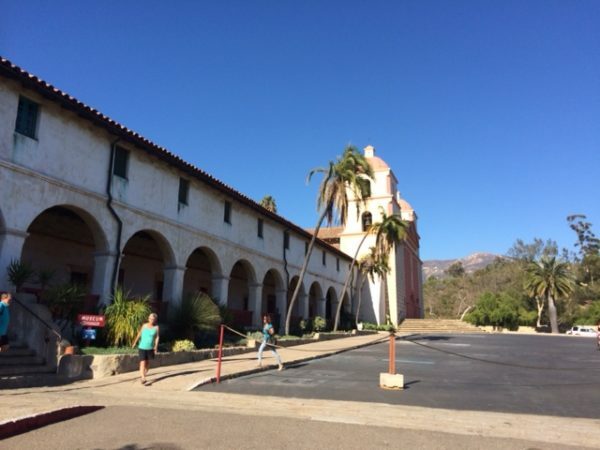 The Old Mission Santa Barbara was founded on the Feast of St. Barbara in 1786 to convert the local peoples and is still functioning today as a community of Franciscan friars, as well as a retreat center and full parish. You can take a self-guided tour through the cemetery, mausoleum, garden and museum. Catholics will want to stop and pray in the church or even attend daily mass in the chapel. Also, be sure to stop in their fantastic store full of Catholic items. We happened upon Santa Barbara Harbor right at sunset, which was truly one of the most beautiful displays I’ve ever seen. The sun, painting the sky pink, purple, orange and blue, contrasted by the Santa Ynez mountains and the vast Pacific with the silhouette of the Channel Islands in the distance, was breathtaking. How can you not believe in God when you see such natural beauty?! 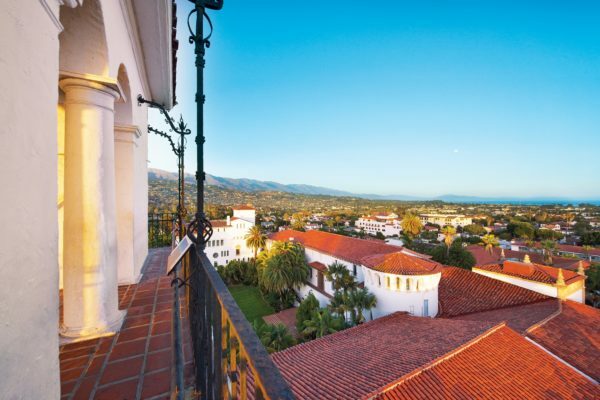 The Spanish architecture in Santa Barbara is amazing. Everywhere you turn is a beautiful building with red tiles galore. A great way to get a good overview is the fun Red Tile Walking Tour, which includes 17 stops downtown, including the famous County Courthouse. Head to the top of the courthouse for a fantastic view! I also adored the many “paseos” as you walk down State Street, the main thoroughfare. The paseos are beautifully-landscaped outdoor plazas that wind, twist and turn and are full of shops and restaurants. Turn off the street into one of these and you’ll be surprised what there is to find hidden beyond the surface. 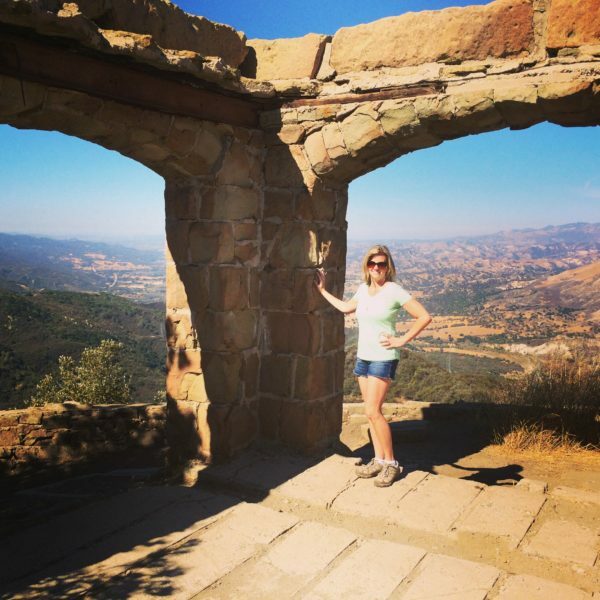 There’s plenty of hiking around Santa Barbara, but we choose a short one-mile hike to Knapp’s Castle, the ruins of an estate that burned 70 years ago. It offers fantastic views of the Santa Ynez River Canyon. Be sure to step over the old bathtub lying on the ground ;-). 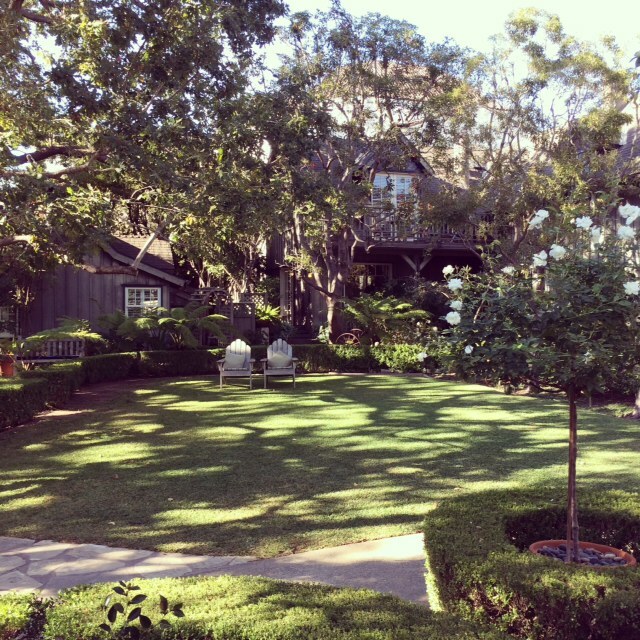 We stayed at the most lovely little inn located near downtown Santa Barbara, but it felt like it was off in a country estate. The Simpson House Inn has a main house and several cottages for guests. We stayed upstairs in one of the cottages, which was absolutely charming. They brought breakfast to us every morning for no additional charge, setting up a lovely table with beautiful tableware. We loved the sitting room, overhead beams and farmhouse feel. I thoroughly enjoy wine, but didn’t know much about it besides what I liked :). 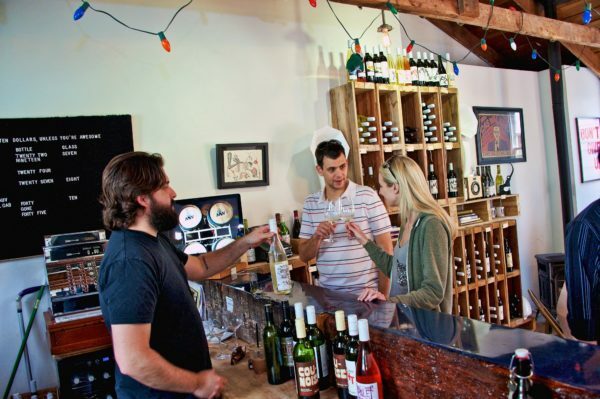 We enjoyed a wine tasting at Cottonwood Canyon along Santa Barbara’s Urban Wine Trail, a series of wineries in the the hip downtown district. Our host was super nice and great about explaining the intricacies of wine tasting to us newbies. My favorite? The Pinot Noir! Magnifique! The Miraculous Medal I wear around my neck inevitably results in conversations about Catholicism, which I love. So I was so pleased that one of the staff members at the Simpson House Inn complimented my medal and wanted to know more about it. She was not Catholic, but was participating with a Catholic Marian group of some sort. I was able to direct her where to get a medal of her own. Trip bonus! To read more of my best travel adventures, head over to my travel blog at GotoTravelGal.com. Here is another post on our California trip highlights. Fly Free to Southern California using the Southwest Companion Pass! I show you how in my free ebook. 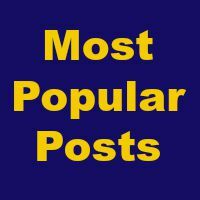 Get my blogs by email! St. Therese, the Little Flower, Pray for us!